My brother is a chef from U.K. He is a sous chef in Royal Cambridge Hotel in Trumpington St. Cambridge. He went back home in the Philippines last Jan 15. He bought Mom good vitamins. 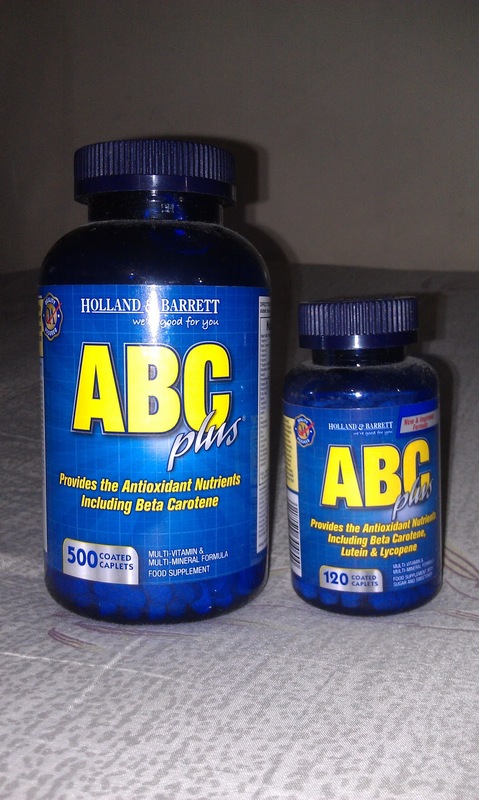 It's ABC Plus from Holland and Barrett. It is a multi-vitamins and mineral formula designed for Adults or senior aged +50YO and above. If you want to see the nutritional information, click here (http://www.hollandandbarrett.com/pages/product_detail.asp?pid=5). According to my mom, this vitamin makes her more alert and make her sleep soundly every night. So it means this one if effective with her. My brother bought a 1 year supply for mom (sometimes i took one also. hahah). Next year my brother will back again with another set of it and hopefully a good vitamin for me also. :) Peaceout! Have a great day.